Beauty never stands still, and neither does Coty. 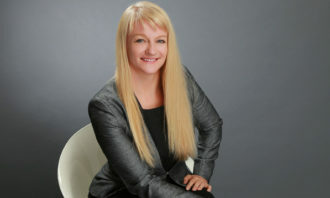 Led by regional HR director, Leanne Goliath-Yarde, this beauty giant’s EVP is getting a makeover. Aditi Sharma Kalra reports. 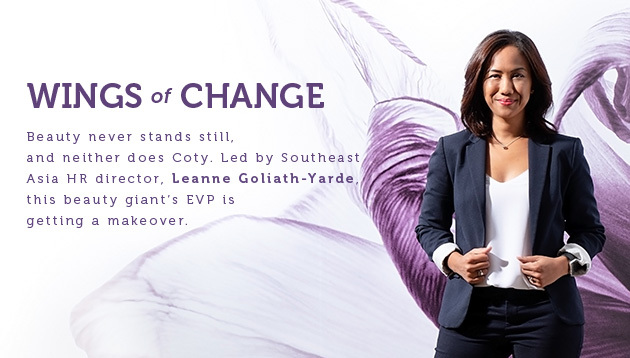 Vital stats: A highly versatile and action-oriented leader, Leanne Goliath- Yarde is the HR director at Coty Southeast Asia, with a workforce of about 500 employees under the HR and talent management remit. 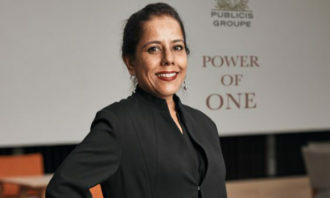 In the past year, she has spearheaded the cluster employee engagement plan, in line with the launch of a revamped employee value proposition. Q How would you describe the culture at Coty Southeast Asia? Our culture is grounded in five values, namely: “own it, drive it”, that is, to be relentless, tenacious and accountable in driving results; “think like a start-up” by acting like an entrepreneur who is agile, creative and inventive; as well as “be brave and go beyond”, “win for the team” and to “live and breathe beauty” in everything that we do. We like to think of ourselves as an entrepreneurial organisation with big ambitions and passionate people. Despite this being at our core, it is something people are adjusting to. Having brought together two distinct cultures we have to work towards energising our colleagues to become challengers and disrupters true to Coty’s culture. Q After the acquisition in 2016, among the beauty industry’s largest, what did this change for the on-ground reality? Having joined just over a year into it, I came into the back-end of a lot of the hard work that had happened. My impression was that it was a very structured process. When I joined, I found a team in transition. People were making up their minds on whether they wanted to be part of the new Coty or not. I am a big believer in choice – nothing is good or bad, it is about choosing what’s right for you. One of my mandates was to create a consistent HR experience across our three divisions (luxury, consumer beauty, professional beauty) and the countries within our cluster. At the time there was limited join-up, as HR reported into the business, who each had their own P&L and leadership, and was run like a separate business. What was happening was that everything was siloed. The experience of the employees was very divisionally focused – if you asked them who they worked for, they were more likely to answer the division of Coty they were part of, rather than Coty as a whole. Even the experience of employees in the same building was inconsistent! It was a fantastic opportunity to remake all of this. The first thing was to pull the leadership team together. Luckily the leaders were also hungry to drive the one Coty spirit. Q Operationally, what does this intervention look like? I started by bringing the GMs together in what I called the site-lead team meeting. Not only do we have three divisions we also have three sites in Singapore – the R&D site, Metropolis, and Keppel Bay. So these meetings were not just about bringing together the siloed divisions, but the physical locations as well. The agenda in these meetings was purely led by HR – common topics such as reasons for attrition in one division or the need for engagement in another, and what key actions we could drive as a team about this. So we created a common platform to start that dialogue. Once it started, the GMs slowly starting driving the agenda by proactively bringing up the issues they were facing. It has since become a great forum for us to bring forward some critical thoughts and be challengers in the people space. We have been able to push out quite a few things in the first 10 months – very exciting! This is the one thing I love about Coty, every day you pick up a challenge you have never faced elsewhere, because we have a start-up mentality. Southeast Asia, specifically, is a unique animal, different to the rest of the world. Often, you are laying the bricks as you driving on the road. 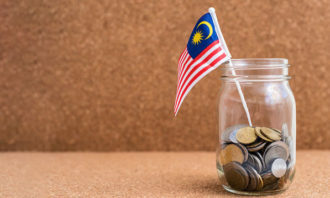 In the 10 months I’ve been here, I have connected with lots of people globally, only to realise we are pioneering a lot of these initiatives here in Southeast Asia, which is part of the excitement. And yes, we face challenges, but we tackle them head-on. In fact, people don’t often stop to think, and this has been the biggest learning piece for us. At times, we tend to shoot forward, without thinking about the impact, and that’s where we sometimes had to firefight. Q How did you engage with the employees on all of these changes? Just after the merger, we ran an engagement survey with Willis Towers Watson, and it provided us a good snapshot of what the organisation was thinking. There were three response areas we wanted to improve upon: “I am proud to work for Coty”; “I feel I can grow with Coty”; and “I feel that I am well-informed about Coty”. On the basis of these results, we pulled our divisionally focused engagement plans into one massive Southeast Asia engagement plan, coming up with specific action items for every result area from the survey. For the part about pride in working for Coty, it was about getting our people to become brand ambassadors and live the values. We made sure that our employees were the first to be involved in any brand launches at each site. We created some hype, for example, during the World Cup we brought over a Hugo Boss foosball table and ran a month-long event. We have over 77 amazing brands, and this hype helped to bring the brands alive in the office. For the piece on growing with Coty, we linked everything we were doing, and our five culture pillars into a new learning calendar. We created a learning journey by quarters – so Q1 was about investing in yourself, for example, change resilience, or powerful conversations. Q2 was about being a challenger, that is, functional skills that help us to challenge the status quo such as changing mindsets or conducting risk analysis on decisions, while Q3 was about driving the results – being brave and going beyond. The last quarter was about bringing all the results home and doing that in a compliant way. Having said that, people will not remember all these activities if they don’t link into something bigger. We created the story and linked it to our globally launched EVP – the story of what we stand for as an employer for our internal employees and our external potential talent. Q Talk us through the visioning behind the EVP and how you built that story. Globally, we recognised we needed to do something different – it was concerning that our people were proud to work for Coty, but not sure about recommending it forward. So the global team got out there and interviewed employees, conducted surveys and focus groups. Through this inclusive work with a microcosm of employees across the globe, we heard that what employees really love about Coty is the entrepreneurial spirit. As a challenger, we are always moving forward – therefore, beauty never stands still. We put the words of the employees into our EVP framework, packaged it in a video and launched our employer brand. The learning here is – we can set the tone, remain consistent, but at the end of the day, the engagement has to come bottom-up. Q As for the actual launch how was it communicated and rolled out? Among other things, we set up a very successful social media campaign for the launch of the Coty EVP. 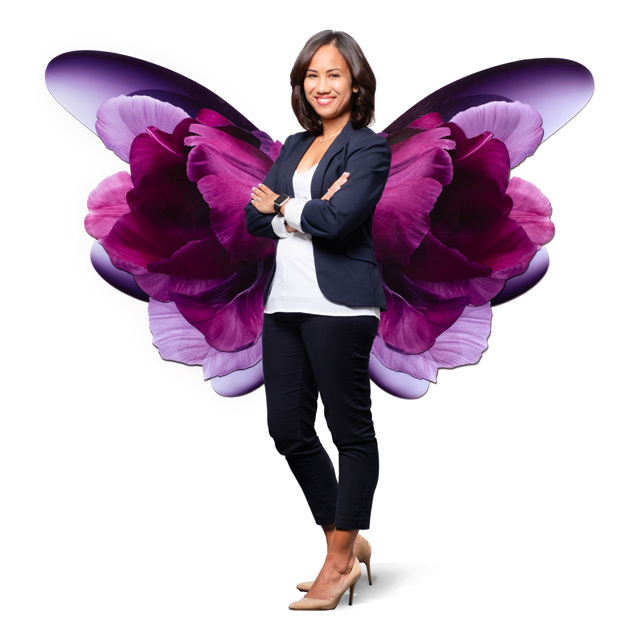 We enabled key themes such as “we don’t let beauty stand still” to come alive at each site through photo booths, props and much more; telling employees to share why they love Coty and what makes them proud to work here. They shared their stories in words, pictures, and more! People got so involved, it was fantastic. We gave prizes to the people who got the most likes. The learning here is – we can set the tone, remain consistent, but at the end of the day, the engagement has to come bottom-up. In fact, a lot of times I structure a framework and then ask those who are passionate about the theme to execute it. That’s how you get employees to own it. Q How would you define this EVP? If talent joins us, they get to set their own pace, depending on where they want to make an impact. It is boundary-less, they shape their own destiny. This is in line with the Millennial way of thinking, where they want to drive their own careers. We can’t tell them they’ll be VP in two years, because that job might not even exist given the fast pace of change! Rather, we can help them structure the necessary experiences it will take to get there. On the other hand, for some talent, this can be hard because there isn’t as much of a direction or framework as they may be used to being handed down. Q In such cases, how did you rope in the leaders to help? Let me be honest, we are not there yet. Despite the fact we want people who are comfortable with so much freedom, we still want people coming in with a lot of experience. For example, the older generation are pretty structured in their approach, and there is a place and need for that – but what we are asking is to not let their need for structure contain them as it will hold us back. We have just launched our signature career experience programme, which is around the concept of future-proofing our talent, driving employability versus lifelong employment. It is hinged on the idea that the modern organisation is characterised by fast-paced change, ambiguity and transformation. We don’t know what jobs will be available in 2020, half of those jobs are yet to be conceived! So why don’t we focus on making sure that when jobs open up, they are the most logical choice to be employed. Q What practically does this programme break down into? We map out each job across four competency-based toolkits, based on the employee’s current role, remit preferences, necessary skill sets, or key experiences they would require for another role. Then, we have a portal via our online Coty Academy to support exploring these options. We’ve also done an animated series around one individual’s journey, in terms of their career choices, experience gathered, and more. For the first time, employees are in power to go into a conversation saying what they want. Thus, for leaders themselves, we are taking them through an intensive workshop around how to hold conversations in the new world of careers. How their mindset needs to change in order to future-proof their employees. Because, after all, we invest in employees not because of their functional expertise, but because we’re invested in them becoming employable. Q Where do you currently stand on this journey? We’re going to do another engagement survey soon, which is going to be really critical for us. 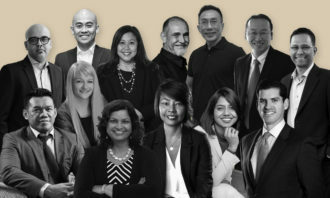 A lot of the engagement focus was purely Singapore-based, and it is now about taking it to Malaysia and Hong Kong, and bringing the employee experience to life there. The really important thing is that Coty needs to be in the hearts and minds of our people. Part of being proud of working for Coty is living the values, including giving back to the community. We’ve done a good CSR piece in Singapore, and we are launching volunteer week soon. It’s tricky, we’re in high-transformation mode all the time, but we believe it can be done, truly living and breathing beauty in everything that we do. We’re going to dial up our leadership – our leaders need to reinforce what we stand for, and we’ll be doing a lot of work with them over the next three to four months, including the one level below the site leadership. It’s tricky, we’re in high-transformation mode all the time, but we believe it can be done, truly living and breathing beauty in everything that we do. Q Throughout this journey, what challenges have you faced? As a transforming business, the challenge is about having the resilience, energy and positivity when you could so easily become change-fatigued. Being resilient for our people, and managing our own energy, even as they manage their own energy while working long hours, has been our biggest challenge. At the same time, we want to create safe spaces, so people can be authentic. We don’t want them to be forced to be positive – everyone has bad days, so it’s about being there for them and motivating them to move forward. American companies remain optimistic about business in the region, as US firms in Singapore continue to shine. ..
After reporting worse-than-expected fourth-quarter results on Tuesday, the bank has announced more measures to cut costs. .. If convicted, he may face a fine of between $5,000 and $30,000; or up to a year of jail; or to both, for each illegally hired fore..